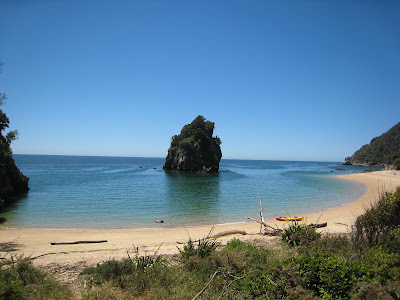 My last wwoofing adventure ended with sea kayaking the Abel Tasman coast. I stayed with a german hippie named Richard Lochner, and worked above the normal wwoofing requirements in exchange for a weekend of travel through the beautiful coastline of New Zealands smallest park. I laughed to myself when I cruised out of an estuary. "Its the only way to see the park mate," exclaimed Richard when I pushed off. Life was beautiful, and in the Golden Bay, the sun never stopped shining. A seal escorted me for a while, and I camped on a golden sand beach in Mutton Cove. In the morning I puttered along and watched another seal chom down on an octopus. 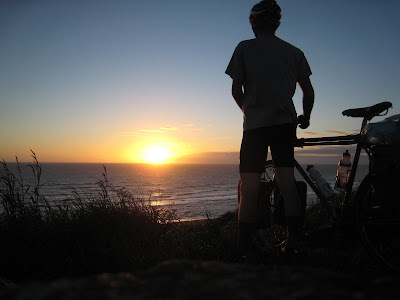 Opposed to riding New Zealands longest sustained climb twice, (15 km long, 800m tall over Takaka Hill) and backtracking 2 days, I took a bus to the West Coast. I have been quite apprehensive about this journey down the 'Wet Coast' with over 5000mm of rain annualy. So far I have seen about .05 mm HA. Maybe its global warming, or I am one lucky chap, but the sun is shining and I am booking it south. 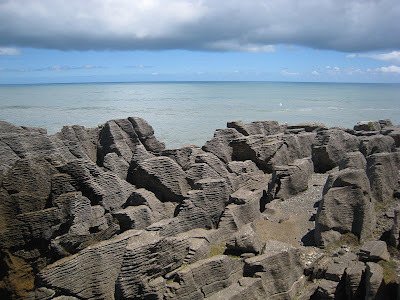 One of the many spectacular attractions in New Zealand- The Pancake Rocks. Similar to gigantic stacks of flap jacks, this section of quirky coast boasts boisterious blow holes and hoardes of tourists. It was worth the gaggle. 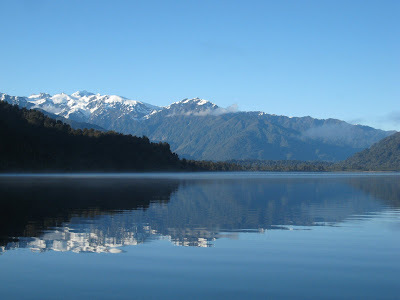 Approximately 4 days south of golden sand beaches, I am approaching the Franz Josef and Fox Glaciers. Above is a sight from a spectacular camping spot where I started crocheting a scarf amongst the sandflies and dastardly Possums, that rooted through my belongings all night long. I chose to bike a sideroad yesterday. The first 10k was shingle (gravel), but coupled with steep banked turns and a constant downhill grade. Among the orchards and pastures I saw my first hops farm. Beautiful fields of strings for the hops to grow up. I also visited a cave titled the Huia Cave. 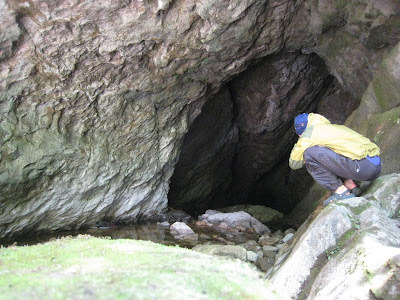 I chated with an Austrian farmer about the location and a bit about the cave itself. After scaling a little river that ran into the cave I found most of the interior clogged with logs and debris. Some people don't want anything to do with holes in the ground. I am not one of them, and thoroughly enjoy the looming ominious feeling when first approaching an enterance. It feels like there is someone peering out from deep within, and this sensation is thrilling. 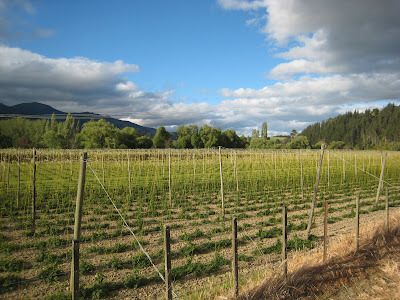 I left Hanmer Springs, a hotbed of tourist activity, and headed into the wind. I must be developing an ole' timer sense of predicting the weather, and I forecast it to rain. As I slogged uphill all day, the rain fell as well as the temperature. 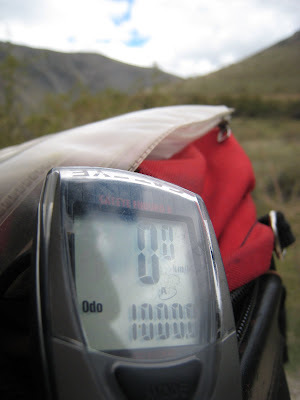 At the top of Lewis Pass, I buckled up for the 6km descent to a japanese style bath house. I could barely pay for the access as my hands were frozen in place. After a beautiful bath in ungodly hot water I camped with a Tasmanian guy and we ate some pasta. The next day was the polar opposite. I enjoyed unexpected 10 km downhill runs, a massive tailwind and a shining sun to dry my sopping socks and bathing suit. I've determined biking reflects life, as you will win some and lose some, but as long as you are smiling there isn't anything to worry about. 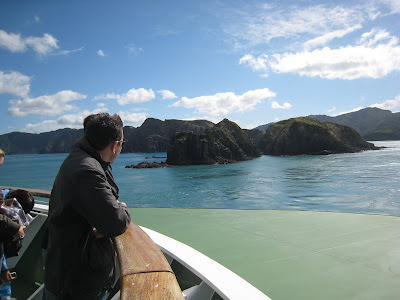 The first adventure of the South Island started with a trip on a mailboat to a farm on the tip of the Marlborough Sounds. 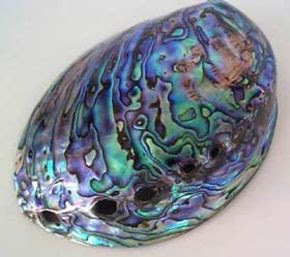 The Arapawa SeaFarm is a 900 acre farm, cultivating paua (aka abalone) on a small bay facing the North Island. In the picture it is the upper right island. The day to day activities included weeding tawini, moving wood from a tree that was chopped down, and helping with the three children. All in all it was an epic view, lots of work, and a week to remember. The next destination was the Molesworth, New Zealands largest farm. At 400,000 acres, this high alpine farm is managed as a conservation area, as well as a recreation area. Although the road traveling trough is only open for a short period starting in December, I applied for a special permit to ride through. One week later I found myself traveling up the gravely road towards the enterance. The road was a mix of velvet dust and splintered river rock. Smack dab in the middle of the Molesworth I hit 1000k on the odometer. I think big #2 will come much faster as my time on the south island will be much more cycle intensive. A view looking somewhat towards the South Island. I barely nabbed a campsite in a grove of trees near the beach. Cruising into the South island via the Troy Channel was epic, especially after the hussle and bustle of Wellington, the capitol city. On the prow of the Interislander winds would jar and throw people about, similar to a bumpy ride in a car. It was cold, but well worth the front and center view of the Marlborough Sound. 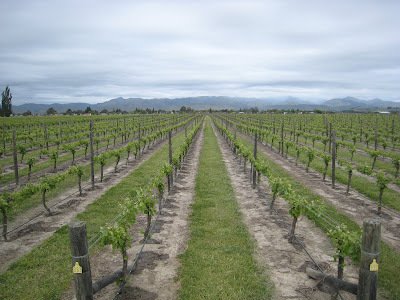 I made plans for a micro tour around the Marlborough wine country. Vineyard after vineyard, I eventually stopped for lunch at Wairau River estate and splurged for a steak burger. Delicious. 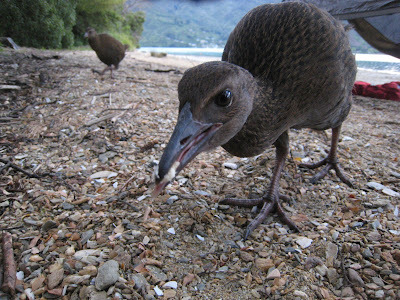 Kiwi birds. Wacky little creatures with no wings. These curious little things were scurrying around my camp, and as you might notice they had no fear of me or my camera. I was awakened periodically by their pecking at my gear. I tossed sand at them in response. 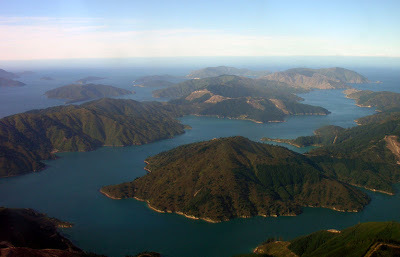 In a couple hours I will leave on a mailboat to the Radon's aquafarm on an island in the Marlborough Sounds. This should be an interesting experience, for there are no roads, and supplies are delivered via barges.